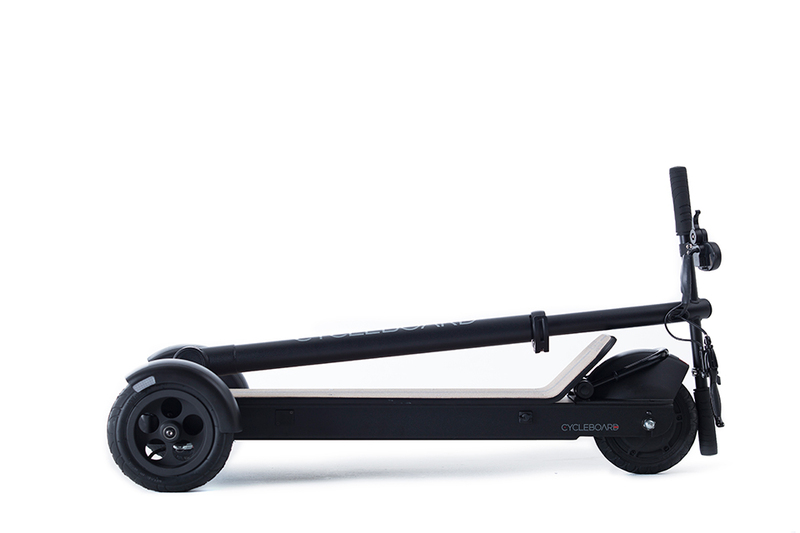 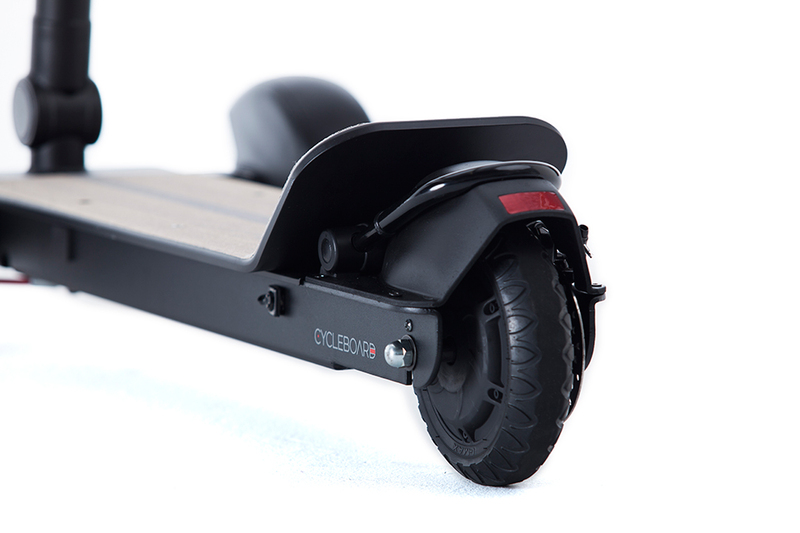 The CycleBoard is a three-wheeled electric scooter with tilting front wheels, making it easy to steer. 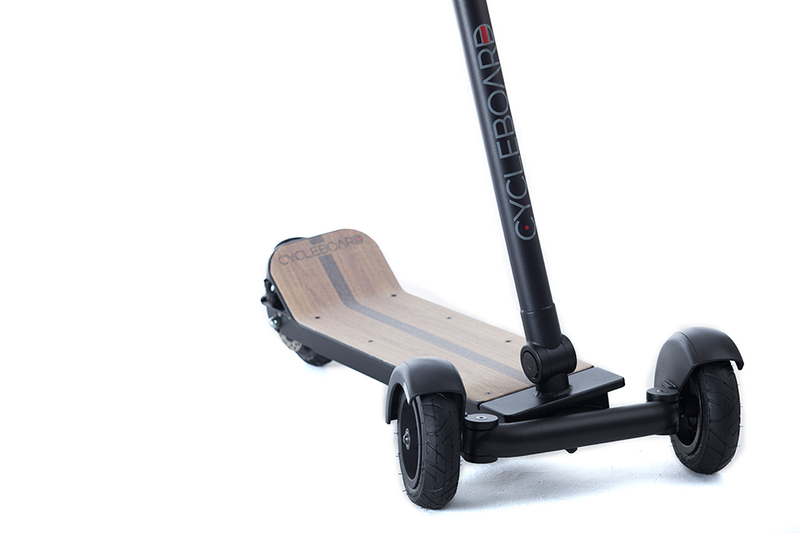 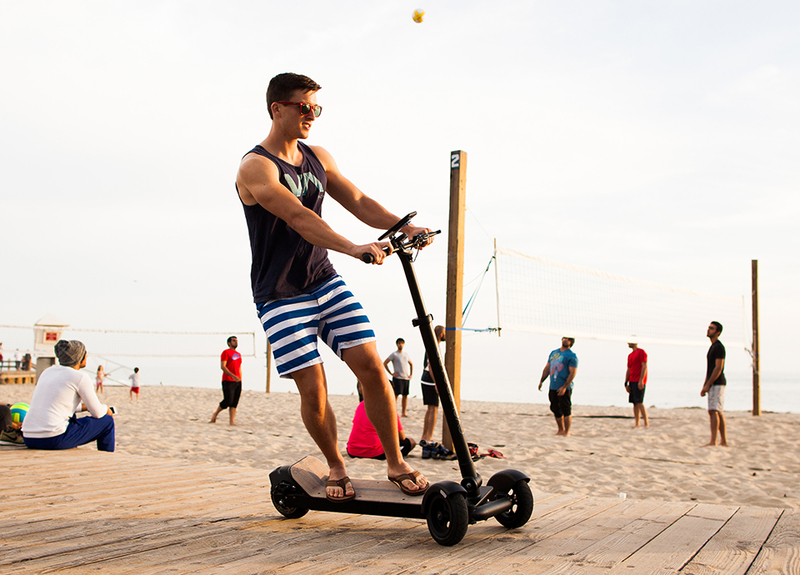 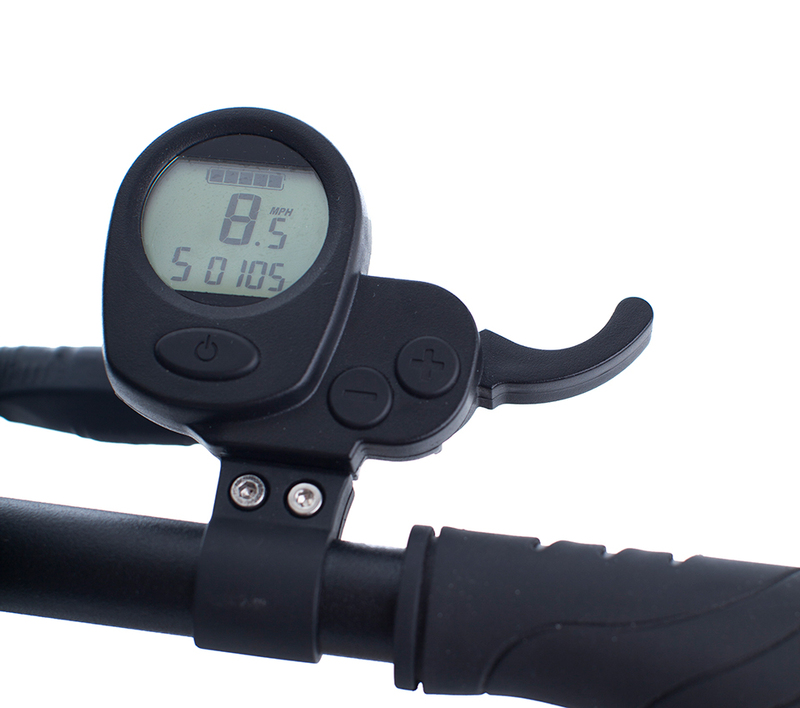 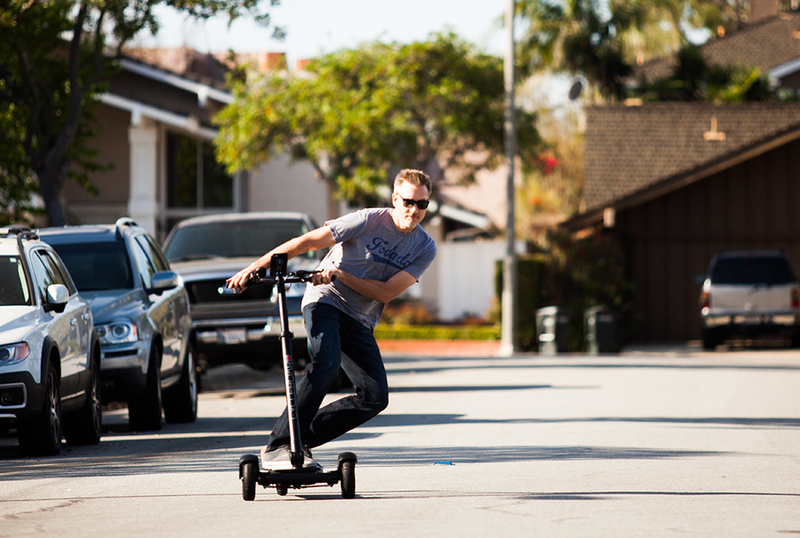 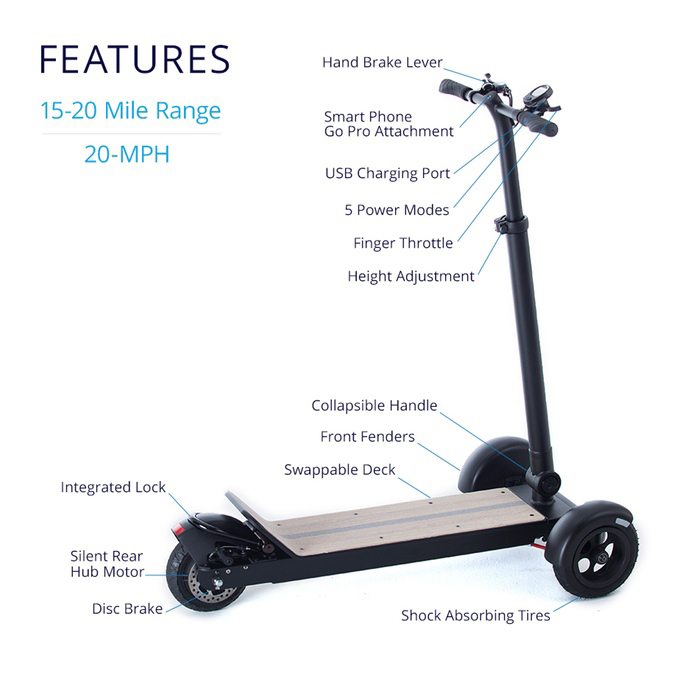 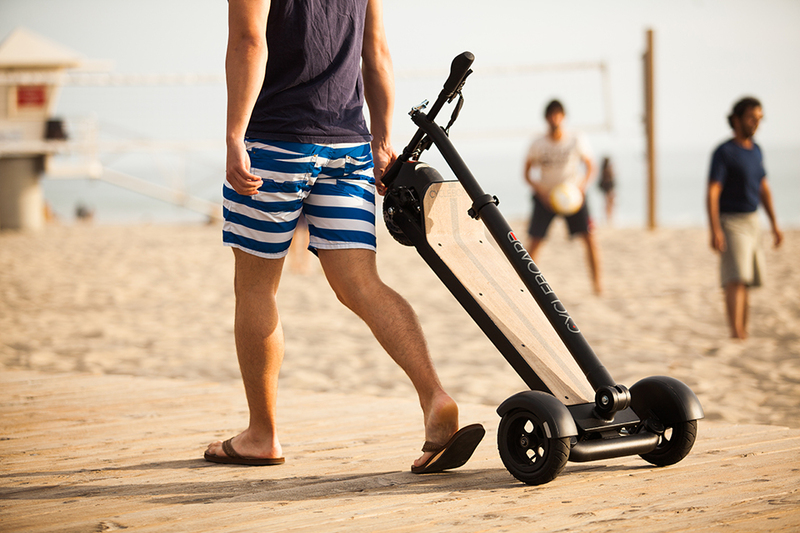 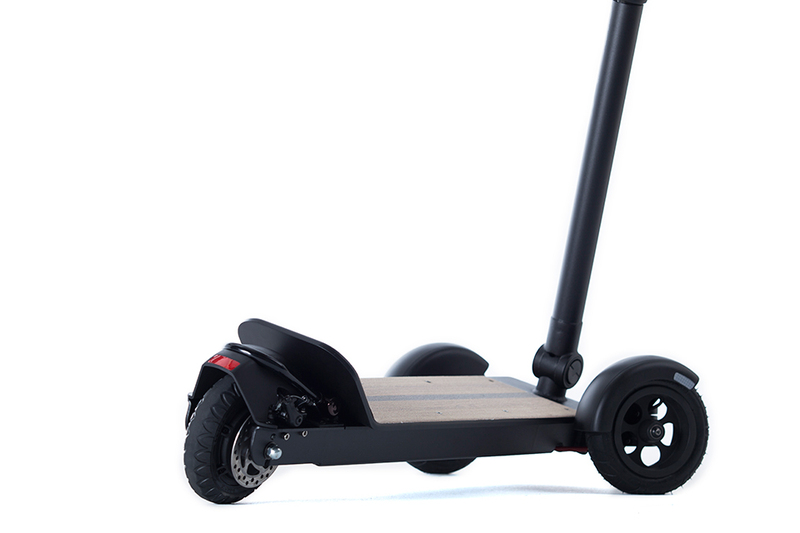 It lasts up to 20mi per charge and has 5 speed settings, up to 20mph. 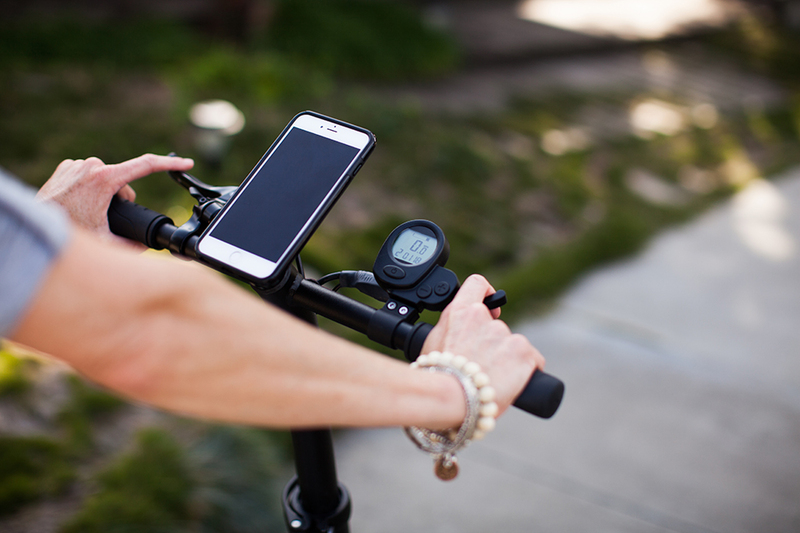 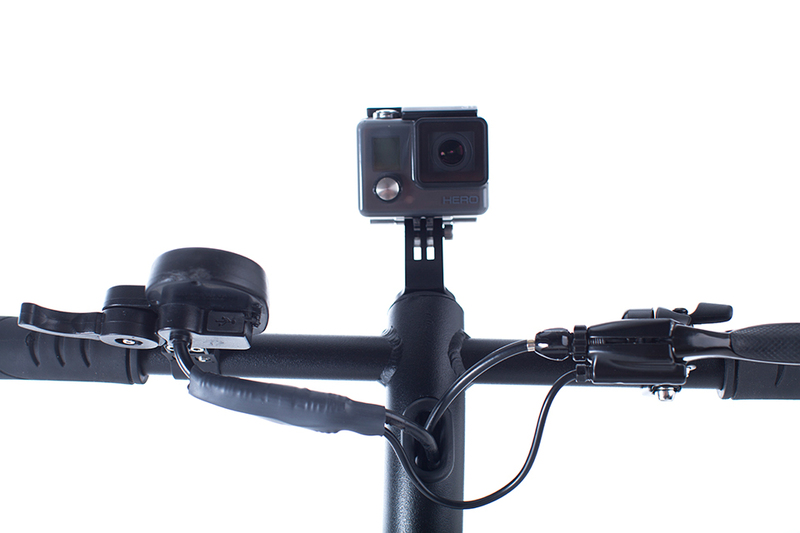 Optional accessories include a U-lock, fenders as well as smartphone and camera mounts.